Mobile Apps are fast becoming a necessity for any company aiming to reach wider audience than was traditionally possible. 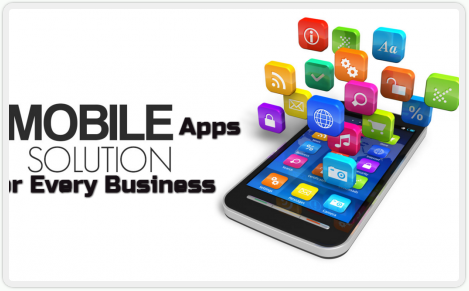 Isp warehouse offers mobile app solutions to address any business needs. This feature will be used as a normal “About Us” page that will provide information not only of the company but also of the mobile app. This will indicate the purpose of the company as well as the purpose of the mobile app. Using the “About” feature, you will be able to tell the client not only who you are but also what you do, your company’s passion and personality. This will provide an insight to your company and will act as a waypoint for the client. Using the “Quick Call” feature, you are providing your contact number to the customer directly without them having to search for it. By clicking this, the app will automatically use the client’s phone to call your business. This feature serves to provide the client with your company’s details meaning physical and postal address, name, email address, fax and telephone number etc. This feature will also include a Google map view to your company’s location. This feature will provide you with the opportunity to add a list of your company’s specials as well as the means to send a message to all of the App users indicating that you have specials. Push notifications serves as a means of notifying the user of what is happening within the company and will also provide a link to the list. This feature works in the same way as a Whatsapp broadcast message. By using this feature, you enable the App users to send their location, by means of GPS coordinates, to you as the App manager. This will provide you with the benefit of fast access to the client’s location if necessary. For example – should your company be Security base, and one of your clients requires emergency assistance; by one push of a button they will be able to provide you with their location immediately and you will be able to act fast and sufficient. This feature enables you as the App Manager to provide videos by means of YouTube links regarding your company or the products/services your company offers to the clients. Using this feature, you can add a list of the products/services your company offers to the clients. This serves as a Clock-In and Clock-Out system, where a client that uses the App will be able to control his/her time spent more efficiently and adequately. If you are in a services base industry and it is required of your employees to go to a specific location;, by using this module you will be able to keep track of their arrival and departure times. The purpose of this feature will depend on the industry and environment of the Mobile App as well as the company. A good example of usage will be within a Guest house or Restaurant system where the client will be able to make their own bookings. Allow clients, suppliers or even staff to fill in a form and digitally sign it. A good example of this would be for a delivery driver to allow clients to sign on collection of an order. Our Apps are published on iOS (available on iTunes) and Android (available on Play Store).